Polylast™ is proud to unveil our brand new KCK Flooring at The 2016 Western Foodservice and Hospitality Expo from August 28 – 30 at the Los Angeles Convention Center, You can visit Polylast™ and experience our new KCK Flooring at our booth, number 1320. Polylast is also a Gold Level Sponsor of the New Product Showcase, where we will install a combined 342 square feet of KCK Flooring in the front entrance, as well as under the bar. Look for us at the expo! 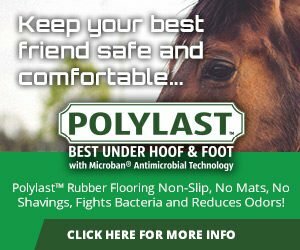 Polylast’s new KCK (Kitchens, Clinics, and Kennels) Flooring is a unique flooring system perfect for the hospitality industry. Polylast KCK Flooring™ is a patented and proprietary non-slip surface made from 100% recycled rubber combined with U.S. primers, binders, and finishes. 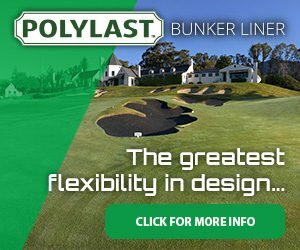 Polylast™ is a poured in place, permanent surface that is bonded to the floor. Since there aren’t any mats to pull, clean, and replace, you will save time and money on cleaning and maintenance. On an unprotected surface, bacteria can double in number every 20 minutes. Microban® Antimicrobial Technology is infused into Polylast™ during the manufacturing process to help prevent the growth of damaging bacteria, as well as inhibit stains and odors caused by bacteria. Not only is a Polylast™ floor extremely durable, it is comfortable, and offers the best slip-resistant surface available. Polylast™ flooring absorbs 40%-50% of the impact shock on one’s feet, helping to prevent injury and fatigue. When working on a Polylast™ floor, there is no need for employees to wear special non-slip footwear. They can comfortably and confidently walk without the fear of slips and falls. Finally, Polylast KCK Flooring™ is a non-porous product, which means it is completely impervious to liquids both on the surface and from below.